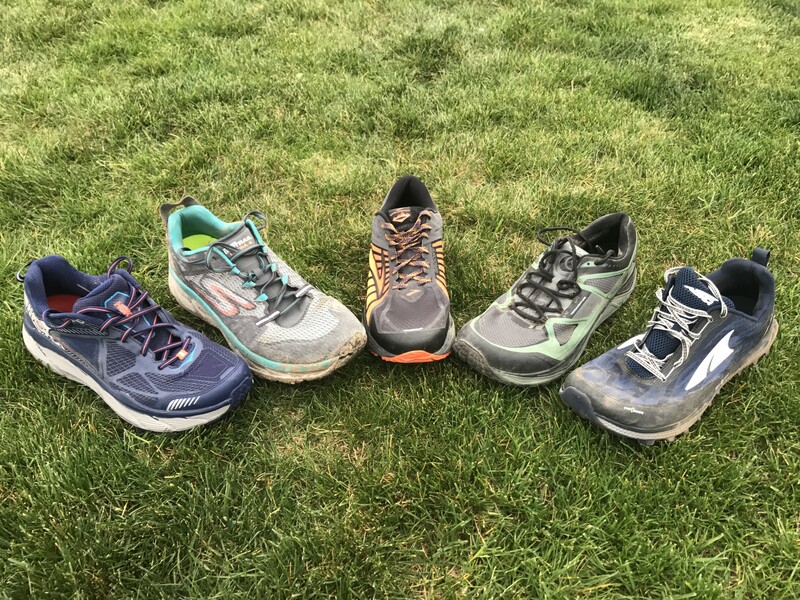 Back in early August I had the fantastic opportunity to go to the Outdoor Retailer Show in Salt Lake City for the first time and check out the new shoes that are coming out late winter/early spring. Below are the road racing shoes I had the opportunity to see at the show. Of note, Outdoor Retailer tends to attract more trail oriented shoe brands and not all companies that make road shoes were present. Notably, Nike, adidas, ASICS, and Mizuno were not present so I don’t have any info on their 2016 releases. Brooks Nuero upper. Notice material that attaches to laces. It actually wraps all the way under the foot. The Brooks Nuero was one of the most innovative road shoes I saw at the show. Without running in them I can’t say whether it will be a good innovation or not, but kudos to Brooks for trying. While it is hard to say whether this will be a "racing" shoe or not, Brooks seems to think it will be a fast running shoe, so I decided to include it in my racing shoe writeup. The main unique feature is the decision to have the shoe uncouple in the midfoot at a diagonal angle that is supposed to allow the forefoot and heel to move more independently but yet be rigid enough on push off to be responsive. As such, this isn’t supposed to be just a flexible shoe, but to both be snappy and move naturally. It will be interesting to see whether they can pull this off when it comes out in March. Podded outsole with some pods filled in and others just encapsulated by EVA. Showing how the sole uncouples at midfoot. Was very unique to see this in person. Hoka One One Carbon Rocket – weight 6.3 oz men, 5.4 oz women. Stack height: 20mm heel, 19mm forefoot, 4/1/2016 release date. Hoka Carbon Rocket upper is a pretty stripped back traditional racing shoe style and should function well. Both the Tracer and Carbon Rocket appear to be on a more standard racing shoe-style last. The Carbon Rocket was probably one of the most exciting road racing shoes I’ve seen in quite a while, and could either be super snappy and fast feeling or way too stiff. I was really shocked with how stiff the shoe felt with its nearly full length carbon fiber plate that has 2 prongs near the front. To better describe the shoe’s snappiness, it makes the adidas adios, a shoe that is one of the snappier shoes I’ve run in, seem extremely flexible :). It has a fair bit of cushion to it though, and is super light so it really does have potential to be a great racing shoe that I could see using for a marathon. Pete an I both will hopefully have a chance to run in these late this winter and let you all know all know how they feel! Hoka Carbon Rocket – RMAT on the bottom with pretty sparse rubber coverage, EVA above that, and carbon plate above the EVA right below the foot. Hoka Tracer – Light and seamless upper. The Hoka Tracer might be just as easily justified as a trainer with its stack height and extra rubber over the Carbon Rocket, but at 7 oz and on the same racing oriented last that the CR is on, I’m going to put it in with the other racers. Many runners might choose the Tracer over the Carbon Rocket as a 26.2 shoe, especially if the stiff plate is not your thing. The Carbon Rocket might be a little more unique, but the Tracer might be what more people enjoy since it still possesses a great blend of protection and propulsion with its dual density (soft in heel firm in forefoot) midsole design, yet is still really light! 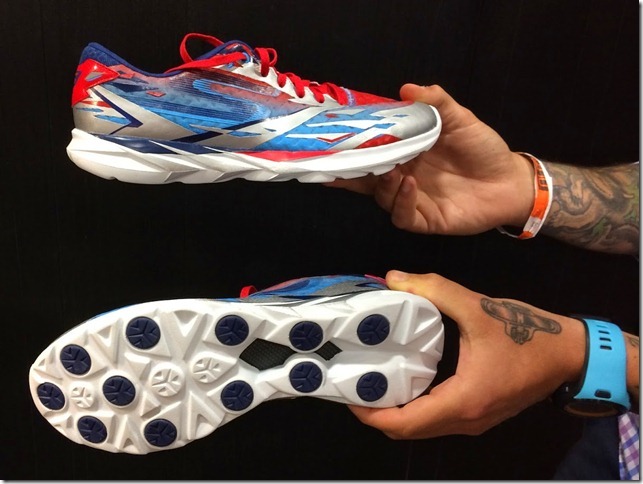 Hoka Tracer – More rubber than the Carbon Rocket, but still not a "robust" outsole by any means and no RMAT either so it is yet to be seen which of the two will hold up better. New upper that stays seamless and should be just as light and comfy as v3. The 1400v3 (here for Pete’s review) is a shoe that I really like for short and fast runs on trails, but it obviously works well on roads too. While the v3 was just an upper change, the 1400v4 gets a complete overhaul without changing the overall geometry and fit from what we all love about the 1400. Biggest change is in the outsole design, which offers just a bit more rubber coverage (a good thing all around IMO and better for trail too). Outsole with more connected pieces of rubber in the forefoot. New, refined upper with carryover midsole/outsole. The 1500, which was New Balance’s first shoe based on the same last as the Zante and Vazee Pace, has a unique niche being that it is both light and still offers some medial support to those who want that feature. I’ve run in v1, mostly on trail, and like the fit and feel overall. The 1500v2 is an upper update only and focuses on lighter overlays, while also offering more security. The Salomon S-Lab Sonic is a slightly updated S-Lab X-Series that, in a somewhat surprise move, has Salomon removing speed laces in favor of good old regular laces (I guess I’m not the only one who prefers these!). This upper is very light and airy in person. I haven’t tried the current S-Lab X-Series, which the S-Lab Sonic updates/replaces, but with this update I’d like to. Salomon reduced the material in the upper slightly and removed the speed laces which they said their athletes requested for the shoe. I usually cut the speed laces off shoes, so this was a welcome change. The price tag on this one, like the Hoka Carbon Rocket, is likely to be a deterrent, but there’s no doubt Salomon now makes a legit road shoe. Carryover midsole and outsole as far as I could tell. The good ‘ole Kinvara in its 7th iteration. Now with a new tech called Everun in the heel. The Kinvara gets its 7th version with the main story being a new Everun topsole (goes on top of the strobel, between the midsole and footbed) material that Saucony reports to last 3x longer than standard EVA and is dramatically more lively and responsive. My only wish with the Kinvara is that they had put it full length as it is in the Triumph ISO2, Hurricane ISO2 and Guide 9. Regardless, it looks like a good update that should please Kinvara fans and potentially attract new ones. New outsole that doesn’t differ dramatically other than its move away from the more typical Kinvara triangle shapes, but offers similar coverage. Skechers GOmeb Speed 3 2016 – Weight 7.2 oz for men, 18mm heel, 14 mm forefoot. January Release Date, $125. Contrary to what you’d expect from just putting 2016 on the end of the name, the Skechers GoMeb Speed 3 2016 is actually a pretty large update overall with an all new, fantastic knit upper and new midsole material. I’ve got a soft spot in my heart for the Skechers Speed series since I ran my second marathon in the Speed 2 and really love that shoe. The Speed 3 was a little heavier and perhaps more protective than the Speed 2, but lost a little magic for me. The Speed 3 2016 is really quite an overhaul with a full knitted upper similar to the GOrun Ultra Road (which is fantastic), but specific to the needs of the Speed 3. The midsole material is also new (called 5Gen) and more responsive than the Resalyte used in previous versions (also at a softer durometer). I’m very excited to get this one on my feet this winter! The knit upper is really nice, and something I hope could become a signature feature for Skechers Performance shoes, especially since they deliver a knit upper at a much lower price than Nike or adidas which are all $150 and up for their stretchier knit uppers. I like the more static nature of the knit upper on the GORun Ultra Road, which will be similar to the GOmeb Speed 3 2016, since it holds the foot much more securely. That’s it for Road Racing shoes that I saw at Outdoor Retailer. 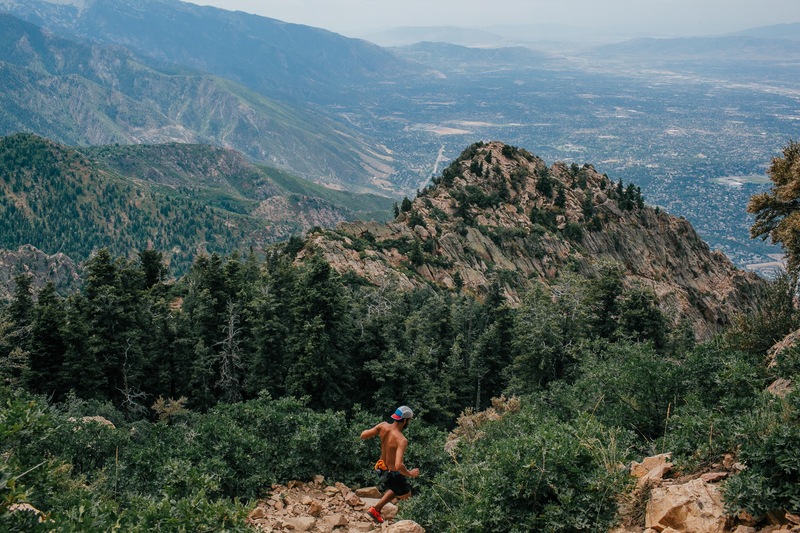 More posts coming for Road Training shoes, Trail, and Mountain shoes coming as well. Let me know if you have any further questions and I can do my best to answer! Looks like we have some great options to look forward to. I’m excited about the Sketchers and Hokas. Thanks for the info! It seems like HOKA has a pretty significant presence in the Ultra world. DO you think they are looking to build a market in road racing? And do you think they have a chance? These are some intriguing shoes David. The Brooks Nuero reminds of the Pure series to some extent based on the outsole pod pattern, though the upper is drastically different. The Hoka options look promising, and I’d be curious to see how they match up against the Adios Boost, which has been my racing flat of choice for numerous distances. I believe the Kinvara may be the wild card. I would surmise that Saucony left out a full length inclusion of the EVERUN material so as to keep the weight down some (in comparison to the Triumph). Personally, I’d love to see if they add EVERUN in the Zealot, which has been my favorite training shoe of 2015. Thanks for you thoughts Austin. The Nuero has some similarities to the Pure series, but it also has a forefoot plate of sorts to add some stiffness and the upper is definitely meant for a snug midfoot with overlays that wrap under the foot even. Cool design that I hope translates to the run. Hokas really could be very good or end up being a good first try for them. I don’t think they will be able to match the adios (I use the adios a ton too) but they’ve got a good chance to do something unique. Hi there! My name is Natalie Kurtenbach and I am a cross country runner at Rockhurst University. 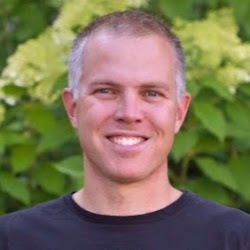 I’ve recently been coming to your blog a lot, and I love what you have to say in your articles! I especially love this one in particular; I’m kind of obsessed with new, up-and-coming running shoes. My shoes are my like my babies. I am also a writer for an website called the Odyssey, in which college students write weekly articles about any topic they choose. My article for this week is called A Thank-You Letter To My Running Shoes. I wanted to share it with you, and it’s a quick read. If you wouldn’t mind sharing it on your blog or on your Facebook page, I would really appreciate it! Thank you so much! Keep doing all that you do! Thanks for reading and for your kind words. Good luck with your writing as well! Curious, do you have any of these shoes cater to a narrow foot? Since most of these shoes are racing shoes, they all fit on the snug side. In addition to that, Hokas tend to run more narrow than other brands and the Skechers GOMeb also fits very snug (in a good way). Will the Hoka Tracer be suited for a full marathon and how about it’s stability as my right ankle tilts to the inside. Tried the ISO Triumph which I love but after 300 miles it’s completely twisted to the inside. Why is the 1400v4 so much heavier than v3? And the Zante 2 is slated to be heavier than v1… Not sure I get where they are going?! 1400v3 is a near perfect shoe! Hi. First off, thanks Dr. Larson for your amazing reviews. 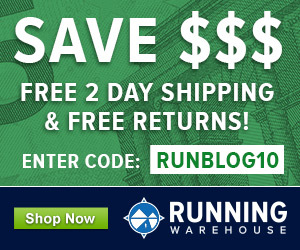 Ok, I’m looking for a new shoe, just to feed my lust for running. I LOVE the NB1400, and loved the Adidas Adios Boost 2 as well. I also liked the Go Meb 2, but It was a bit “flat” for me, so I never got further than 6 or so miles in it. Can I get some input? I am torn between the GoMeb3, the NB1500v2 (or1), and the Nike Zoom Streak 5. I usually run 4-10 miles at 6:30-7/mile, maybe a 5:45 in a race, but I don’t always keep track of time. I don’t mind not having stability, but I feel its benefits. The same with heel-toe offset. I loved the adios boost b/c of the responsiveness and fit, though it was a bit heavy. I love the fit and ride of the nb 1400, but it can feel a bit dead at slower paces; I hated the Kinvara 6, I can’t put my finger on why, though-the sole felt concave when hitting the ground. I’m 5’10”, 155, and tend to run with a mid foot strike. I want to say I’ve been leaning towards the Nike AZS 5, but I just don’t know. Thanks for your comments. Pete might comment later too, but from what you’ve shared, I feel I could give some meaningful input. I too really like the 1400 and adios and understanding what you are looking for. Of the shoes you listed, I think the Streak 5 is likely the only one that is closer to what you are looking for…bad thing is, it is the only shoe I haven’t run in that you list. I’ve tried it on multiple times, but just something off with the fit for me and I don’t think their midsole foam is that great on it, but take that just as my opinion especially since I haven’t run in them. The Meb3 is quite similar to the Meb 2, maybe even flatter feeling and the 1500v2 is going to feel similar to the 1400 due to the REVlite midsole material. Like David, I haven’t run in the Zoom Streak 5, so can’t comment on it. I love the Streak LT2, but not sure how similar they are. It’s a pretty cushy shoe for a flat. So the 1400 and Adios Boost are two of my personal favorites, love both of them. Been running in the Adios Boost 3 and like it a lot, should have a review soon. I really liked the Meb 3, better than the earlier versions of that shoe, and the 1500 is decent if a bit firmer than the 1400 (though maybe that’s what you are looking for?). A shoe I’d put up there with the 1400 and Adios is the Asics Hyperspeed, love that shoe. I ran my last two Marathons in racing flats. I was using the A6 Saucony. Do you think the tracer would be an upgrade or a better options? For 10k and half marathons I was using a half size smaller, for the full I went with my normal size. Hi there. Sorry for the late reply…I’m not getting notified by WordPress lately when comments are posted for some reason.